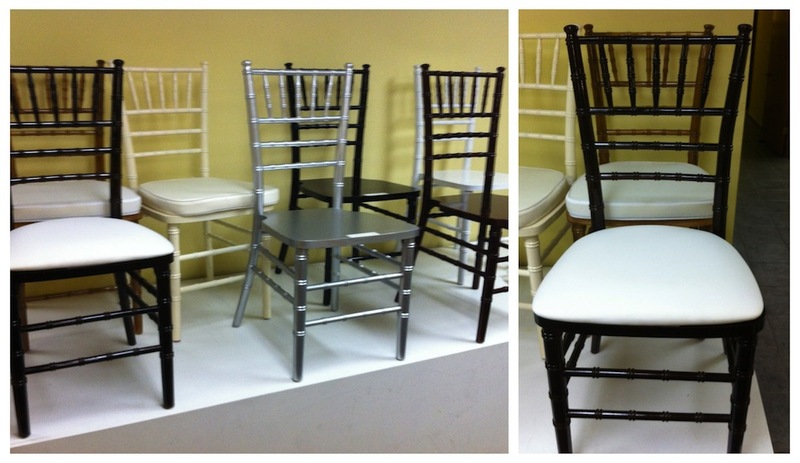 It took us some time to find the perfect color for our Chiavari chairs. Then we came across a company in Miami, Florida that seemed to have the exact color brown we were looking for. While vacationing in Florida, we were able to take a trip down to Miami to see these chairs in person. We immediately fell in love with the rich chocolate color of the chairs and decided on pairing it with a white linen pad that attaches to the seat. The chair that we chose is the one on the far right. These chairs are included in the wedding & event package for events inside the barn.